Want to live longer? Make jogging a regular habit. 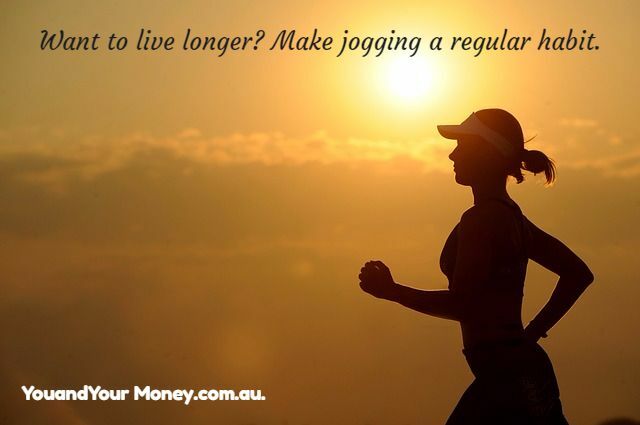 Tony Abbott was famous for it, Julie Bishop’s a fan, and Bill Shorten did it throughout the recent election campaign: but jogging is not just a political past-time it can also increase life expectancy. Regular running increases the average life expectancy of men and women by around six years, a study found. This may account for the increase in Australians that reported that they went jogging on a regular or occasional basis. Latest findings from Roy Morgan Research reveal that almost a quarter of Australians aged 14+ go jogging either occasionally or regularly – a 66% increase on participation a decade ago. While in the 12 months to March 2006, 14.0% of Aussies reported that they went jogging on a regular or occasional basis. As of March 2016, the participation rate had skyrocketed to 23.2%, making jogging the fastest-growing sport/exercise in the country over the last 10 years, ahead of hiking/bushwalking, cycling and yoga. This boom in jogging participation is evident among men and women of all age groups. Men’s overall participation has increased by almost 50% from 16.4% to 24.2%, while the proportion of total women joggers has almost doubled from 11.6% to 22.2%. Jogging participation peaks among the 14-24 year-old age bracket, having risen from 33.6% to 45.1% of young men and from 32.5% to a staggering 48.5% of young women over the last decade. In terms of proportional growth, however, it’s the older brackets that have shown the biggest change – particularly among women. For example, ten years ago, just 16.7% of women aged 25-34 were jogging occasionally or regularly – this has since doubled (and then some!) to a participation rate of 35.6%. Participation has jumped more than 150% from 8.7% to 22.2% among 35-49 year-old women, and tripled among women aged 50 and older. Regular jogging shows dramatic increase in life expectancy. Jogging for as little as an hour a week can put years on your life, new research has shown. The jogging research found that undertaking regular jogging increases the life expectancy of men by 6.2 years and women by 5.6 yearsis. The research was part of the Copenhagen City Heart Study which has been monitoring the health of 20,000 Danish men and women aged 20 to 93 since 1976. The greatest benefit came from jogging at a “slow or average” pace – enough to cause slight breathlessness – rather than pushing to physical limits. If you’re looking for a fitness regimen that will help you maintain a healthy weight, feel great, and improve your lifespan, jogging is an excellent choice. It’s as simple as lacing up your shoes and walking out the door. Remember, you don’t need to win any speed awards. Find a slow, steady pace and jog your way to health and longevity. Are You Worried About Camping Holidays? Are Aussies Watching Less TV? Has Australia Gone To The Dogs??? What Financial Future Is In Store For Your Kids?